Paintings created on location are like little jewels that sparkle with life, and I always feel a sense of deep satisfaction upon returning from a day in the field. If you would like to try your hand at plein air painting but can’t attend my live workshops, my new “PLEIN AIR QUICK-START PACKAGE” will get you started on the right path. It includes videos from my TV shows and much more. 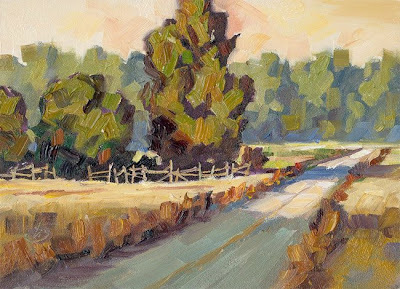 The “PLEIN AIR QUICK-START” PACKAGE will let you join the fun of outdoor painting, even if you are an absolute beginner. There is still time to order in time for Christmas. The special Holiday price is just $50 and SHIPPING IS FREE within the USA.